What’s next if the hardware components like, Motherboard, Graphics Card, hard Drive or the CPU is changed? How does the Windows 10 clean install work on new or old computers? How does the modification in hardware configuration change the Windows 10 license? And, whether the free Windows 10 license can be freshly installed on a new computer? To your relief we have answers to all your questions today so read on. A new computer will most seemingly come with a new operating system; however, if it is already loaded with Windows 10 then you need not install it all over again. In this case you can simply add the programs you wish to use. When do you need a serial number? If the PC seller had manually installed the Windows 10 confirm how he did it. You will not need a serial number in case he upgraded it from Windows 7 or Windows 8.1, however, if he directly installed the OS with a new license key get the key from him and ask him to show you the location of the license key. Find the serial number at the back of your computer in either case, even if it’s shipped with the pre-installed Windows 10. If the serial number is not traceable at the back of your computer, obtain the same from the seller in order for you to be able to re-install the OS if needed in future. There are quite a few articles online that helps users “how to perform clean install of Windows 10 OS straight-away at the first instance” as well as copying certain files for it to function. Whether they eventually work and activate the OS is a big question, however, we surely have the solution for you. For an existing PC that is already running on Windows 7 OS or Windows 8.1 OS, you are automatically entitled for an upgrade free of cost and this is applicable for one year from July 29 this year. Or, make use of the Microsoft Media Creation Tool in order for the upgrade. Booting from the media for the Windows 10 installation will result in deletion of all your data and instead clean install the OS. In such cases, rather install the media after booting to the existing OS (Windows 7/Windows 8.1). In situations where it does not load automatically click on the setup.exe file which in turn will help you upgrade to the Windows 10 much faster while your files and settings are transported to the Windows 10 OS. Now once you are done upgrading the OS with the help of the Media Creation Tool or the Windows Update, you can clean install the OS (Windows 10) at any other convenient time. When asked for a key you just need to click on the SKIP icon to move ahead. The reason it asks for a key is because once the upgrade process of your PC is over, your computer and the configuration will be registered with Microsoft. There is a possibility that you may or may not face any troubles in future in case you modify the configuration. How Does Windows 10 License gets affected with a Change in Computer Configuration? What you need to know here is that your Windows 10 license does not get affected by plugging in device which can be removed, hence you are free to use as many devices (plug and play) according to your choice based on your choice. In situations where you are adding or changing the Hard Disk, you need to be sure if the Windows is activated still. It is highly recommended to re-check the activation status, even though the Microsoft Help Desk says that changing Hard Disks does not affect the activation. Open the “Settings” option in order to check the activation status of the Windows 10 OS. Now click on “Update and Security” and then go to “Activation”. The activation status will be displayed here. If it shows the Windows 10 in an activated status then your issues is resolved and you are all good to go, however, in case it’s not activated you will then need to call up the Microsoft Help Desk to get it activated over the phone. Although the same process goes with other hardware components in the same lines with the Hard Disk, in case where the Motherboard is changed your computer will be treated as a new device altogether. Since for new devices the Windows 10 does not get activated on its own, calling up Microsoft Tech Support may also not resolve the issue. In this case you may just need to purchase a license in order to activate Windows 10 (in case of motherboard change). 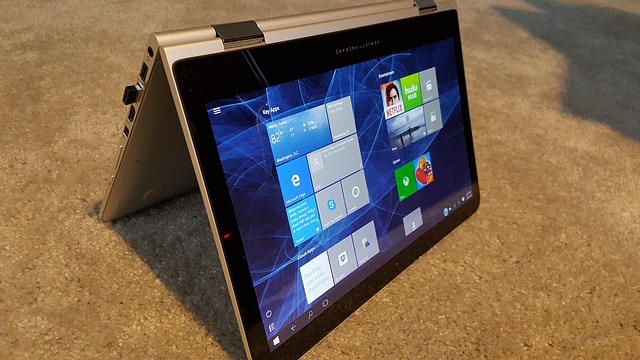 Logically, since the Motherboard ID is connected with the installation process of Windows 10 as that is when we tend to change hardware configurations moderately, the activation status remains unchanged. Although one can activate the Windows 10 over the phone even for major modification like, in case of replacement or addition of Graphic Cards as the device is still the same, for the Motherboard the PC becomes a new device and hence it is imperative to purchase a license. So, as we have explained what happens next after your computer’s configuration is modified and also the process for Windows 10 clean install on new and old computers, it should be all piece of cake for you.